Many of us enjoy our high definition products and devices. It seems that using high-definition products has become a standard. With the amount of HD products available, customers are happy to purchase the new HD gadgets and devices. One of the biggest reasons why people opt for the high definition products is because they have higher quality sound and video. In many cases, you can feel like you have your own high-quality studio or theater at your home. One of the many high definition gadgets that are popular are splitters, like the OREI HDMI splitter. This device can transmit video signals and audio signals to multiple screens. This device can work like the standard coaxial splitters that you've probably used many times before. How Does The Splitter Work? 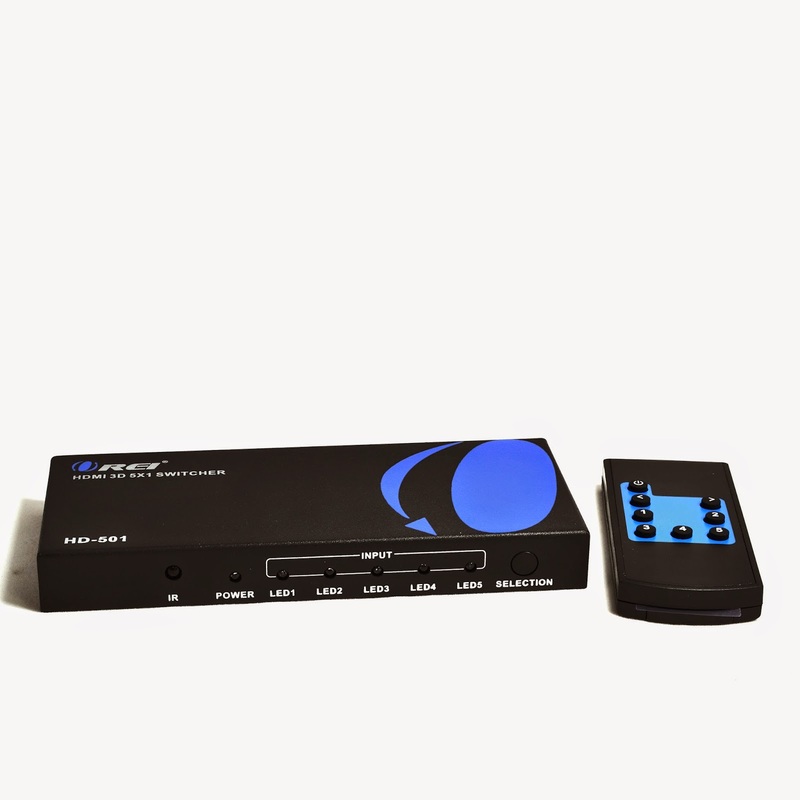 The OREI HDMI splitter will stream from the different receivers at the same time. One end of the cable will be plugged into the source and the other end will be plugged into the splitter device. Many of the gadgets and devices we purchase are designed and structured to be HDMI ready. So, this means they are ready for the HDMI cables to be plugged in. The new televisions, computers, video recording devices, and video game systems are all equipped with the ability to be seen on multiple screens. You will not have to worry about finding different cables, wires, or software for those devices. An OREI HDMI splitter will be able to show multiple people what is going on. An HDMI splitter can be used for concerts, office conferences, public events that require videos to be shown, and in schools as well. If an office needs to host a training session, video conference, or seminar then a splitter an definitely give the presentation a needed boost and enhancement. An HDMI splitter is not a large device, and it can easily be moved and stored in an office location. No one in the office or other location will have to worry about untangling wires or stepping on wires. You may think the HDMI splitter will be difficult to use because of the features it has, but it is not. It is easy to install and easy to use. It is also reasonably priced, and you will get outstanding results for whatever purpose you need. Contact us for any assistance or questions about our HDMI splitter.